Hello everyone! 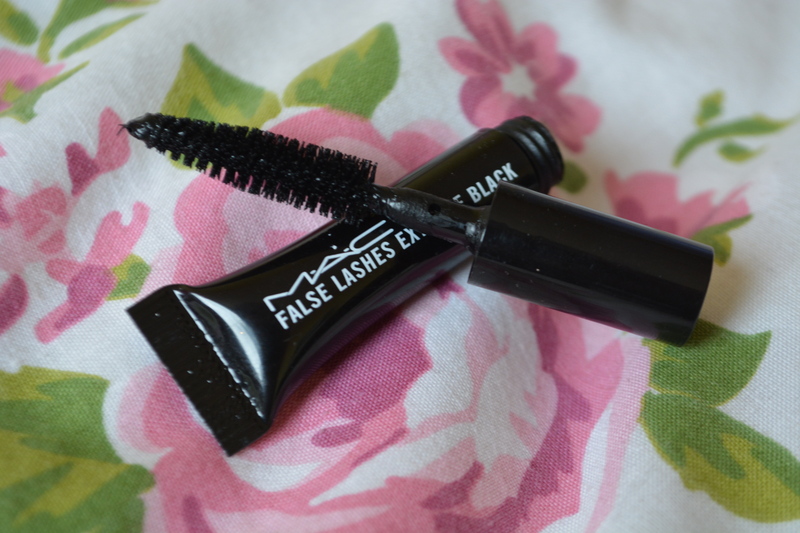 Today I am going to be reviewing the Mac ‘False lashes extreme black mascara’ as it says right there^. Bit of a long name I know. I applied for the free sample of it and it arrived about a week later, without warning- I have to say I was a very happy girl. But, is it worth the hype? It has an “inky, mousse-like formula” and does feel very lightweight which I love. Even though it gives my lashes loads of length they don’t hit my glasses and surprisingly still look natural. There is no distinct smell to this product which is nice because I don’t want anything smelly going anywhere near my eyes. As you can see it has quite a large brush but it isn’t overwhelming at all, even on my tiny eyes! One thing I would say though is that it is very easy for the mascara to transfer onto your eye lids (especially if they are hooded) when you first apply it because the formula is so wet. 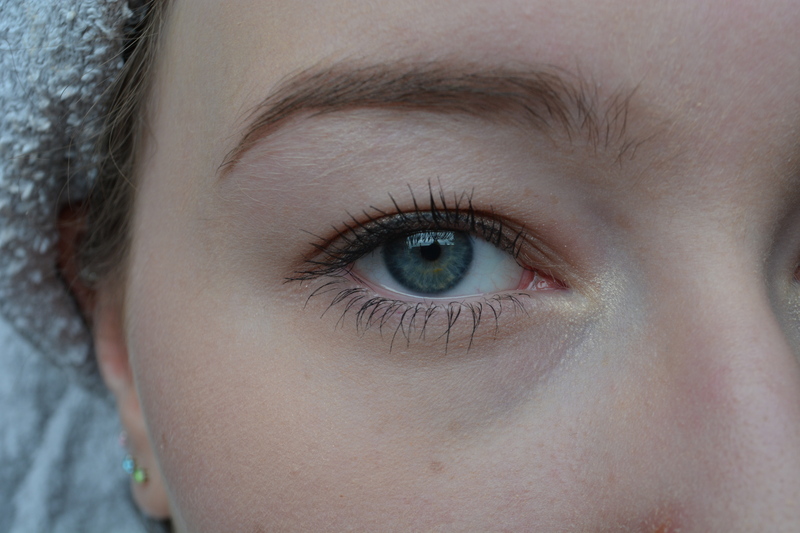 Please ignore my eyebrows in these before and after pictures, I promise you they don’t look that drawn on in person! 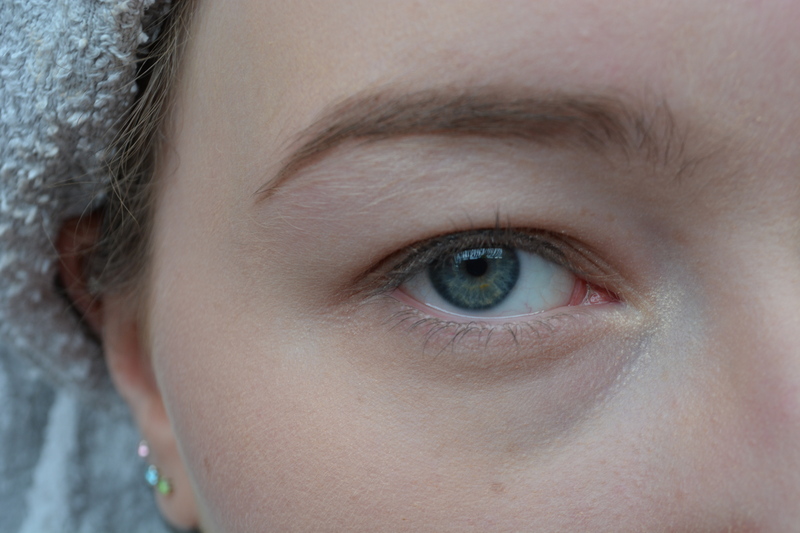 The mascara made a huge difference to my bare eyelashes and even made me look more awake, despite those awful bags under my eyes! Personally I don’t think that this mascara gives much volume but paired with a thin stroke of eye liner it looks simple and beautiful! The only thing that I don’t like about this mascara is that it comes off so easily if you cry or have watery eyes, I was in work the other day and my chest was really killing which made my eyes water a bit and there was mascara all underneath my eyes, I looked like a panda…in pain. Not nice. So what I have been doing is putting my usual maybelline ‘the rocket’ waterproof mascara over the top. This gives my lashes a little more volume and stops the mascara from escaping my lashes completely! The MAC false lashes extreme black mascara retails at £19 which is a little steep but I would purchase it in a heartbeat if they had a waterproof option! Overall I would rate this product an 8/10, the only ‘faults’ with it are that it isn’t waterproof and doesn’t give much volume, other than that though, I love it! I hope you enjoyed this post and until next time, goodbye for now little buns! → Get Ready With Me | Beach day! This looks great! Makes your lashes look amazing! Also, loving the lip colour! Praying they bring out a waterproof one! 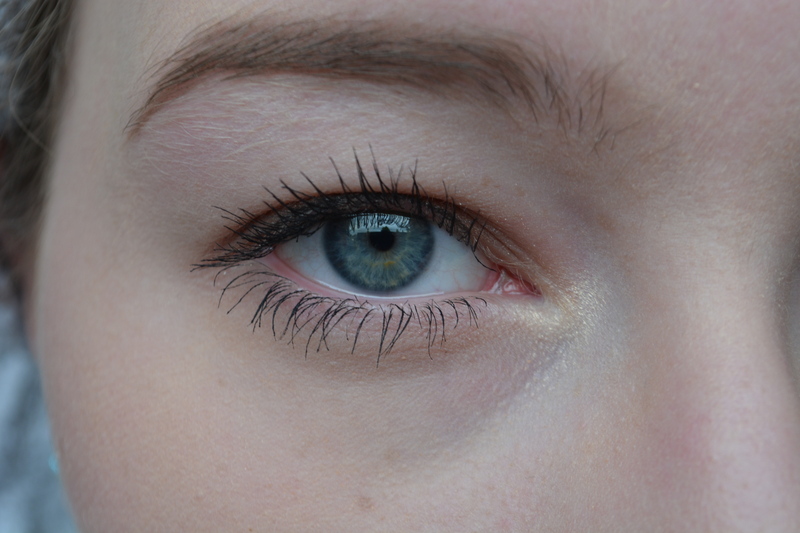 I love how natural your lashes look – and such a good tip to apply a waterproof mascara on top to seal it into place! Thanks for reviewing it!